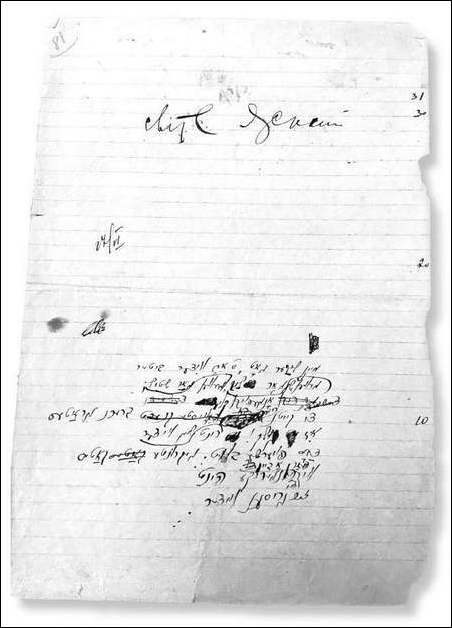 In 2019 we will be marking eighty years since the date of the most large-scale projects to publish Yiddish-language translations of [Taras] Shevchenko’s works. Two volumes of Dovid Hofshteyn’s translations finally came out in 1939: a selection of poems from the Kobzar for children and Selected Works for adult readers. In 2019 we will be celebrating the 205th anniversary of Taras Shevchenko’s birth. 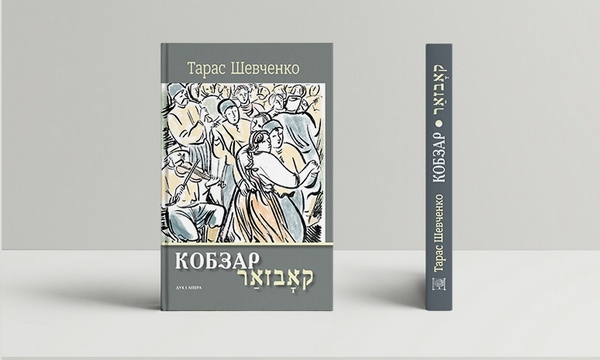 In connection with this important date, Dukh і Litera Publishers initiated an ambitious project to republish Dovid Hofshteyn’s Yiddish-language translation of Taras Shevchenko’s Kobzar, which was done in the 1920s and 1930s. It was decided to illustrate this publication with the paintings of Vasyl Sedliar, a Boichukist [member of the school of Mykhailo Boichuk], which were featured in the 1931 edition of the Kobzar. Our project may be called a dual reading of the Kobzar, through visual text and verbal text, that is, through the prism of another rich and unique literature: Yiddish. In the history of literature, translations have long been viewed as an important element of inter-cultural dialogue, and the interpretation of the Kobzar in Yiddish is a unique interpretation of Shevchenko by writers who had a traditional Jewish education and were raised on biblical literature. On the one hand, the Ukrainian and Yiddish languages are very different in terms of grammar and syntax. On the other, Shevchenko was a poet, who also had a religious education—Mykhailo Drahomanov called him a “biblical scholar.” His works are replete with allusions to and reminiscences about biblical texts and the Bible was the most important book in his life. As noted above, two volumes of Dovid Hofshteyn’s translations were issued in 1939: a selection of poems from the Kobzar for children (published in Odesa) and Selected Works for adult readers. His novel A Walk with Pleasure and Not Without a Moral was also published. 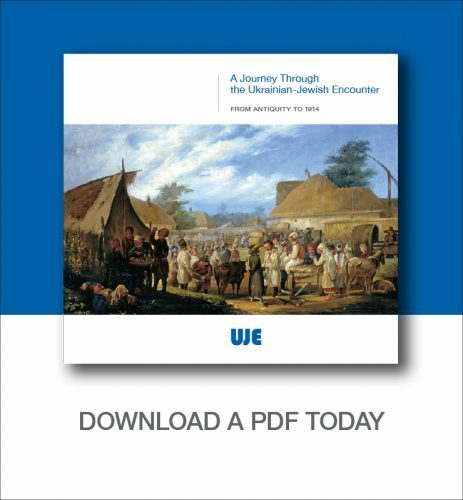 Yukhym Melamed, a well-known expert on the archived Jewish legacy in Ukraine, posits three attempts to publish a book of Yiddish translations of the Kobzar in Soviet Ukraine: 1929, 1934, and, finally, 1937–1939. It is difficult to say anything definite about the 1929 edition, apart from the fact that it was announced in the press and the translators themselves alluded to it. On 12 March 1929 the Kharkiv-based Yiddish newspaper Der shtern (Star) “announced the planned complete edition of Shevchenko’s poems in Yiddish.” Our archival investigations attest that this project was completed. We come across references to the Kobzar in Yiddish in the correspondence of the Shevchenko National Preserve in Kaniv with the State Publishing House of Ukraine (DVU). In April 1931 the National Preserve submitted a request to the DVU to send books about Shevchenko to the museum bookstore. On 19 April 1931 the head of the DVU Serhii Pylypenko sent a list of already published books as well as those held in the publishing house’s editorial portfolio: this was the Kobzar in the Yiddish language and The Life and Works of Shevchenko (in the Yiddish language). This is probably a reference to a biography of Shevchenko written by E. [Ezra] Fininberg. For a long time the Yiddish translation of the Kobzar gathered dust in publishing houses and for various reasons, above all censorship, it could not be published. Over the course of this period not only did responsible editors of projects and approaches to text selection change, but also the destinies of several authors of articles. For example, Yevhen Shabliovsky, the director of the Shevchenko Institute, was arrested. Dovid Hofshteyn worked on Taras Shevchenko’s poems for over twenty years, and the publication of Selected Works (1939) represents only the tip of the iceberg. This is attested by manuscripts of texts held at the Division of Manuscript Collections and Textology at the Institute of Literature, National Academy of Sciences of Ukraine, which we have reproduced in this book. Hofshteyn’s creative work can be reconstructed only by relying on references to the author, which appeared in articles published in the 1930s. “In 1920 I began to translate T. Shevchenko’s lyrical poems that are already included in textbooks for Jewish schools. Over the course of eighteen years my translations of many of the poet’s verses were published in the Soviet Jewish press,” writes Hofshteyn in the article “Shevchenko ievreiskoiu movoiu” (Shevchenko in the Jewish Language, 1938). In the essay “Ioho poeziia blyzka vsim trudiashchym” (His Poetry Is Dear To All Workers, 1939) he mentions that in 1920 “he published two articles on Shevchenko in a special edition pegged to the poet’s anniversary” (it is not clear to which articles Hofshteyn is alluding). 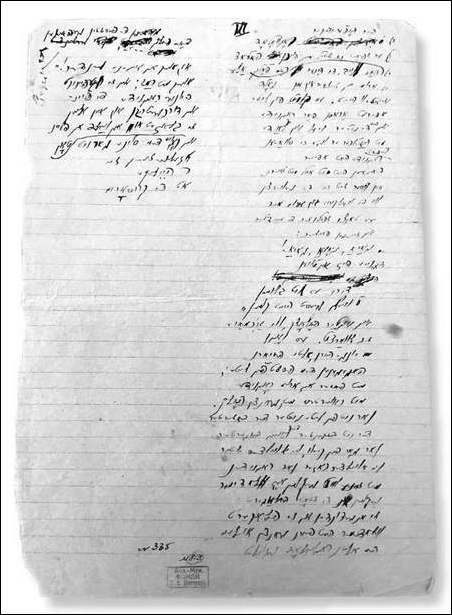 However, this global translation project to familiarize the Yiddish reader with all of Shevchenko’s works could not have been initiated without the groundwork having been laid over the course of many years, as well as literary attempts, the search for translation strategies, discoveries, and failures. Yiddish-language writers had long been engaged—since the late nineteenth century—in the conceptualization of Shevchenko’s works. 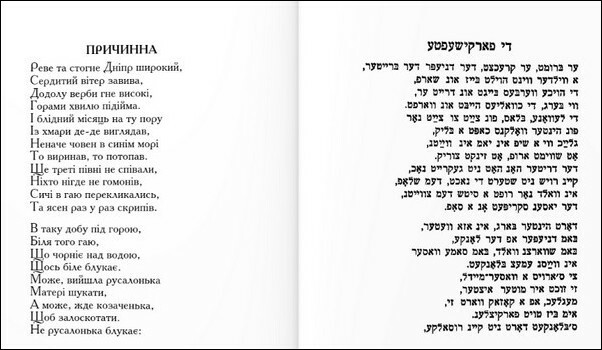 The Kobzar fascinated Sholom Aleichem, who called this book the “Song of Songs.” Among prevolutionary works, we should mention Shimen Shmuel Frug’s poem “In Memory of T. H. Shevchenko” (1891). One of the first translators of Shevchenko was Osher Shvartsman, whose works include motifs of Ukrainian folksongs (“The River Carried the Boat” [based on a Ukrainian motif], trans. Pavlo Tychyna). P. [Petro] Rykhlo indicates the kinship between Shevchenko’s work and that of Avrom Reyzen and Mark Varshavski (“A Song about Bread”) and Morris Vintshevski (Winchevsky) (The Free Harp, a collection of poetry). In his in-depth article “Taras Shevchenko and Jewish Literature” (1940) Irme Druker discusses the kinship between the works of Taras Shevchenko and Perets Markish. In Dovid Hofshteyn’s works he perceives “strict consistency and harmony of Shevchenko’s word and Shevchenko’s image, philosophical formulations, and the aphoristic nature of expressions.” In Druker’s view, the works of Itsik Fefer are characterized by “the melodiousness and narrativity of Shevchenko’s verse.” Dovid Hofshteyn’s study of Shevchenko’s allusions and reminiscences is a fascinating topic for future comparativists. 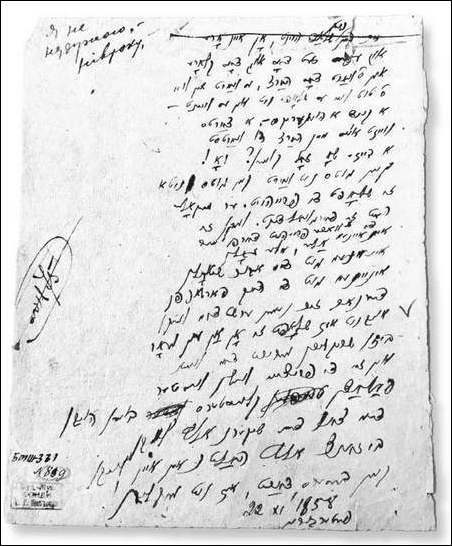 In addition to the already mentioned translators of Shevchenko—Dovid Hofshteyn, Leyb Kvitko, Perets Markish, Lipe Reznik, Ezra Fininberg, Itsik Fefer, and Moyshe Khashchevatski—some translators from western Ukraine should be mentioned: Shemaryahu Gorelik, Ber Horovits, and Shimson Meltzer. In one of his articles Dovid Hofshteyn announces the release by the Moscow publisher Emes of a collection of translations of Shevchenko, edited by the poet Shmuel Halkin. Source: Viddil rukopysnykh fondiv і tekstolohii Instytutu literatury im. Taras Shevchenka, f. 1, spr. 856. The interaction between Ukrainian literature and Yiddish literature was bilateral, and Ukrainian writers of the 1920s and 1930s actively translated new Jewish literature. In 1920 a small volume by Yitzhok Perets was published in a translation by Mykola Zerov and Oleksandr Ger (pseudonym of the distinguished publisher and art historian Volodymyr Naumovych Vaisblat). It was entitled Folk Tales and featured seven short novellas. Another project worth mentioning is the Anthology of New Jewish Poetry (1923), edited by Vasyl Atamaniuk. Although this collection was only 36 pages long, it presented a group of young Jewish writers as an integral and original literary trend. Hundreds of books by Jewish writers were published in Ukrainian in the 1920s and 1930s. Curious readers can familiarize themselves with the list that appears in L. V. Kolomiiets’s book Ukrainian Literary Translation and Translators (Kyiv, 2013). Here I mention only a few. The poems of Dovid Hofshteyn were translated in particular. This Jewish poet had a long-standing friendship with Maksym Rylsky, who edited a selection of translations of Hofshteyn’s poetry (1938, 1939); he also wrote the foreword to the Russian (1958) and Ukrainian (1965) editions, the first books by Hofshteyn to be published after having been neglected for years. A number of Ukrainian translations of Sholom Aleichem’s work were published in the 1930s: a two-volume edition was published in 1932, and in 1938 and 1930 Selected Works (one volume) appeared in a translation by Efraim Raitsyn. In 1938 Osher Shvartsman’s Poems were published (fourteen of the translations in this collection were done by Pavlo Tychyna). A selection of poems by Itsik Fefer (Skarb [Treasure]), translated by Mykola Bazhan, Leonid Pervomaisky, Volodymyr Sosiura, and Pavlo Tychyna, was published in 1937. After many years of being neglected, the most complete edition of Jewish poetry for the Ukrainian reader was published in our time: Anthology of Jewish Poetry: Ukrainian Translations from the Yiddish (comp. and ed. V. Chernin and V. Bohuslavska, Kyiv: Dukh і Litera, 2007). The most complete collection of Yiddish translations of the Kobzar appeared on the eve of the Second World War, during the period of mass repressions and intensification of “Russocentric” tendencies in the cultural life of the USSR. Is it natural that one of the biggest Shevchenko jubilees fell precisely in 1939, the 125th anniversary of his birth? Such celebrations in states founded on violence and aggression were not accidental. In the 1930s measures aimed at honoring the writer included not only (and not so much) literary events but also the actualization of so-called “performative culture” as described the scholars Jeffrey Brooks and Jonathan Brooks Platt. Celebrations of writers’ jubilees were held on a truly mass scale: jubilee editions are released; the ritualization of events takes place through the renaming of streets and institutions (it should be mentioned here that in 1939 Kyiv University and the Kyiv Theater of Opera and Ballet were named after Taras Shevchenko) and the unveiling of monuments (the Taras Shevchenko monument in Kyiv, located in what was called Vorovsky Park at the time). We can variously interpret the 1939 Shevchenko jubilee events, which took place against the background of aggressive military hysteria and public appeals to punish enemies of the people. First of all, such commemorative processes demonstrate the adoption by Soviet culture of the symbolic status of the national poet of Ukraine. Let us recall how aggressively periodicals fulminated against so-called nationalists, who “incorrectly” interpreted Shevchenko’s works; the thesis that Shevchenko was no nationalist was trumpeted from every podium. Second, the jubilee was undoubtely formed by the canon of the “Soviet” Shevchenko (great, a people’s poet, son of the Ukrainian people, bard of the Ukrainian people, Kobzar, suffering poet, revolutionary, great democrat, militant ally of Russian revolutionary-democratic writers). Henceforth, these periphrases became clichés in Soviet-era textbooks. It is likely, however, that for the Soviet person living in the 1930s these memorable anniversaries were also a reflection of the traumatic experiences of a repressed society. Professor Jonathan Brooks Platt of the University of Pittsburgh, who studies writers’ cults in the Stalinist era, questions whether this dynamic tension between classical writers and hysteria was the result of the traumas that had been inflicted on the people, and an attempt to expunge these traumas. Making no claim for completeness, we will attempt to reconstruct some features of the reception of the figure and works of Shevchenko in literary works and essays by Yiddish-language writers of the 1930s. In an essay entitled “Shevchenko’s Muse” (1939) Itsik Fefer notes the “wonderful musicality, rhythmicity, and clarity of the Ukrainian poet’s thoughts and words.” Taras Shevchenko is above all an artist who enchants “with his powerful, simple word and supreme mastery.” Unfortunately, Fefer did not develop his interesting notion that the “genuine creative influence” of Shevchenko is felt in Dovid Hofshteyn’s poems. In this article Hofshteyn also mentions his own translation of the poems “Maryna” and “The Princess” (these texts were not included in the 1939 edition). 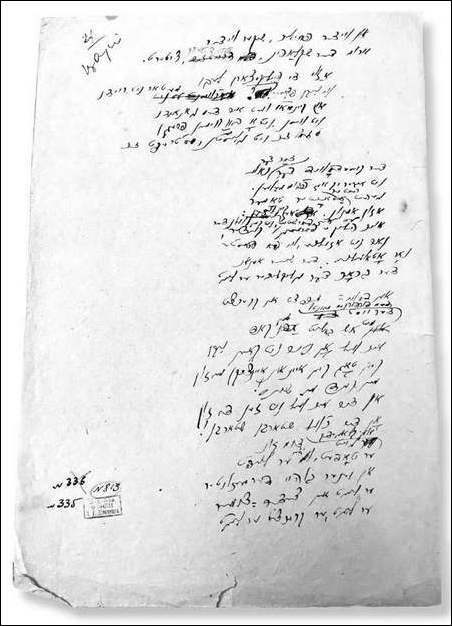 Draft of Dovid Hofshteyn’s translation of the poem “Son” (The Dream; “Toiling in serfdom, she was reaping wheat”). Similar characteristics organically fit into Socialist Realist rhetoric. Thus, authors did not sense a certain kitchiness and comicality in their descriptions. In keeping with tradition, Altman focuses attention on international motifs in Shevchenko’s works, as well as on his friendship with Russian democratic writers—a refrain often heard in the 1930s. Among the features of poetics, Altman emphasizes the presence in Shevchenko’s works of motifs of Ukrainian folksongs and the theme of mother and child. However, as we have shown, the spectrum of Shevchenko’s creativity and personality in Red Ukraine in the 1930s was diverse. Translators and critics were also interested in the question of his poetics. Jewish writers on the other side of the Soviet border emphasized first and foremost the national foundation of the Ukrainian poet’s creativity. In Shimon Meltzer’s view (1938), for the “few translators from Eastern Galicia” Shevchenko is “above all a national and supra-class poet. Moreover, he adds, the most significant kinship between Shevchenko and Jewish writers lies in the importance to the latter of “ethical nationalism,” questions of national awareness, and the quest for truth. The 1930s are marked not only by Yiddish writers’ translations of Shevchenko. During this period poetic texts dedicated to the Ukrainian poet also appear. In 1939 Dovid Hofshteyn writes the poem “To Taras Shevchenko” (trans. M. Zisman) and a tetraptych entitled “At Shevchenko’s Grave” (trans. M. Rylsky). Hofshteyn’s tetraptych “At Shevchenko’s Grave” (1939) consists of four poetic texts that differ in terms of rhythm and imagery. 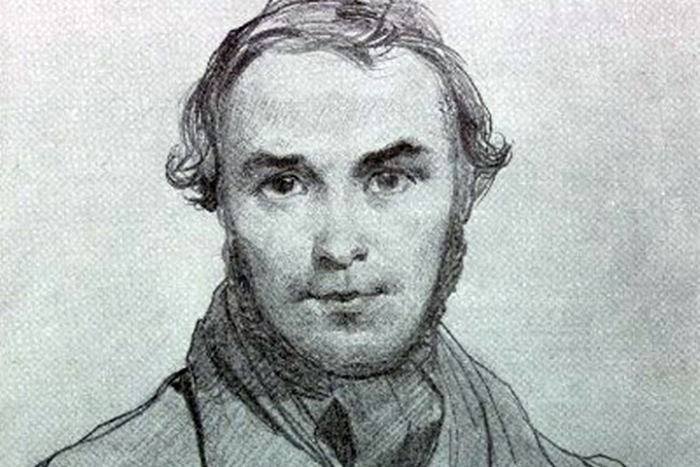 The first poem is the solitary poet’s ascent to Shevchenko (like the image of the lyrical hero in the poem “To Taras Shevchenko,” he is a lonely wanderer): “Alone I went to the grave,/That towers in the first rays” (tellingly, here again is a contrast between darkness and light, and the image of Shevchenko is formed from descriptions of the morning radiance). Source: Viddil rukopysnykh fondiv і tekstolohii Instytutu literaturyn im. Tarasa Shevchenka, f. 1, spr. 856. During this period other Jewish writers devoted their poems to Shevchenko, for example, Moshe Khashchevatsky’s sonnet-diptych “ The Monument to Taras Shevchenko in Kharkiv” and Itsik Fefer’s “Ballad of the Burning House,” the latter based on a real episode from Shevchenko’s life. 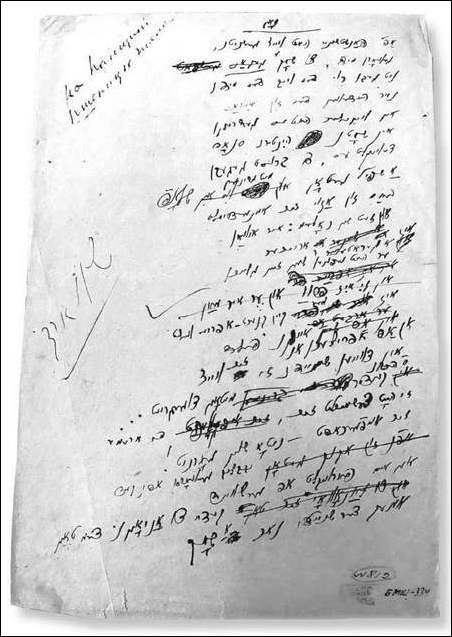 However, the most interesting and characteristic organic links between the poetry of Shevchenko and Jewish writers must likely be sought in the Bible: biblical imagery, motifs, paraphrases, the perception of the Word and the Book as the Divine Essence, as revelation; and in the complex symbolism of numbers and letters. This is precisely why it was forbidden to discuss this for ideological reasons in the 1930s. But the hermeneutic circle for such a perception of Shevchenko was already formed, and these quests were continued by contemporary researchers: Mykhailo Drahomanov calls Shevchenko a “biblical scholar” and emphasizes the “prophetic dominant in his works”; Leonid Biletsky sees a “biblical complex” in Shevchenko; George Grabowicz reveals a “symbolic projection of [Shevchenko] in the role of Christ”; Liudmila Kiseleva reconstructs the complex of motifs and themes devoted to the Mother of God in Shevchenko’s poetry; Stanislav Rosovetsky analyzes the topic of the Bible and Shevchenko in great detail—the list of scholars could be continued. The cultural and historical contexts described in the present article are important for an understanding of the stylistic features of Hofshteyn’s translations. In this connection, we have the extraordinarily valuable observations featured in the essay “Shevchenko’s Poetry in Jewish Translations” (1944) by Moisei Maidansky, who was a contemporary of the events described and an associate of the Office for the Study of Soviet Jewish Literature, Language, and Folklore at the National Academy of Sciences of Ukraine. 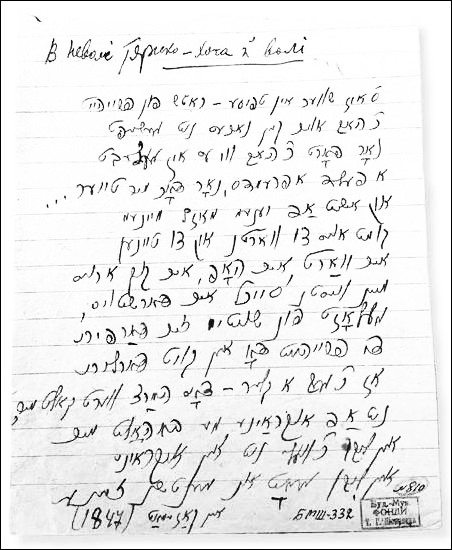 In his article the philologist analyzes the lexical and syntactical features of Yiddish translations of Shevchenko’s poetry, focusing in particular on the work of Dovid Hofshteyn. 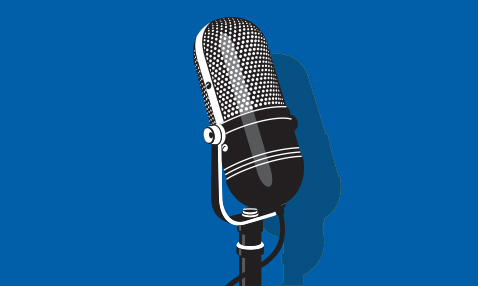 What is Hofshteyn’s translation style? According to Maidansky, on the lexical level the poet occasionally resorts to neologisms in order to amplify the text’s sound instrumentation. In order to recreate the language of the originals, which is organically rooted in the folkloric tradition, the translator uses idiomatic expressions. Hofshteyn recreates Old Slavic words in Shevchenko’s poems with the aid of “obsolete Hebrew lexical elements or archaic words of foreign derivation.” In his translations he makes frequent use of Ukrainisms both in order to provide ethnographic color and more accurate recreate realities (words, such as soves [owl], syches [horned owl], tsaples [heron], solovei [nightingale], zozolie [cuckoo], klen [maple], etc. Some Ukrainian words remain untranslated; for example, the word batko (father), although, according to Maidansky, there are lexical errors in Hofshteyn’s work. In other words, the analyticity of Jewish syntax makes translations from the Ukrainian “stretched out and multisyllabic,” and Yiddish words with few syllables shorten a line. Here it was necessary to demonstrate translation skills in order to preserve the rhythmic and metrical pattern of the original. 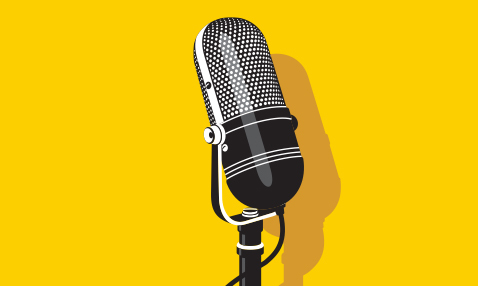 One of the most fascinating problems in translation analysis is how a translator changes the original and what precisely determines these changes. It has been established that here and there Hofshteyn not only added individual images, but also “appended” entire stanzas to Shevchenko’s poems. They punished me for truth. It should be noted that Shevchenko’s poem “To A. O. Kozachkovsky” is an uneasy lyrical monologue of doubts and projections into the future, and the most utilized syntactical construction in it is comprised of rhetorical questions. Hofshteyn’s lines, however, demonstrate what is important to the translator and his reading audience: the image of the poet-martyr who has suffered for the sake of truth. Here we have a unique interpretation of the poem, which is a response to those rhetorical questions that are scattered throughout the original. [Andrusyshen & Kirkconnell trans.] Source: Viddil rukopysnykh fondiv і tekstolohii Instytutu literaturyn im. Tarasa Shevchenka, f. 1, spr. 856. They defiled you, the mad executioners! In the context of this authorial intrusion into the Shevchenko original, a question arises about the translator’s biographical extrapolation into an image of the lyrical hero. In other words, is Hofshteyn’s emphasis on Shevchenko’s motifs of suffering and martyrdom for the sake of the Word and punishability for truth the voice of Hofshteyn himself, and did he interpret his life as an artist in the USSR as the path of a sufferer and solitary wanderer? Published with the publisher’s permission: Oksana Pashko, “Taras Shevchenko v interpretatsii ievreiskykh pysmennykiv (deiaki sposterezhennia),” in Taras Shevchenko, Kobzar: Vybrani tvory; vydannia-bilinhva [“Taras Shevchenko in the Interpretation of Jewish Writers (Some Observations,” in Taras Shevchenko, Kobzar: Selected Works; Bilingual Edition], trans. Dovid Hofshteyn (Kyiv: DUKH I LITERA, 2018). 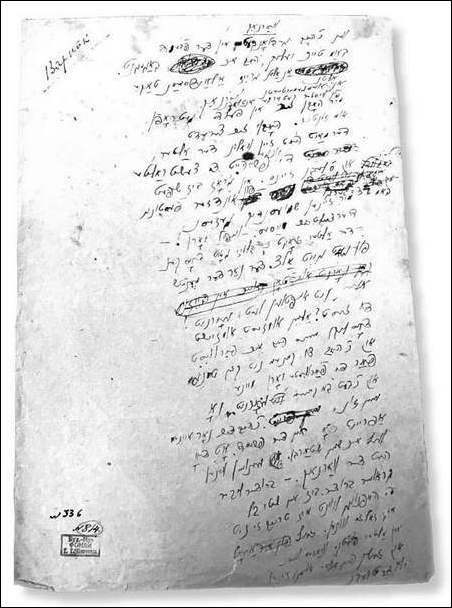 A note on the translation: The Yiddish-language translations of fragments of poems from Shevchenko’s, altered by the Yiddish translator Dovid Hofshteyn, have been translated from the Ukrainian-language versions as presented in Oksana Pashko’s article in Istorychnya Pravda into English by Marta D. Olynyk . Where unmodified parts of original Shevchenko poems are cited, the English-language translations from the Ukrainian are by C.S. Andrusyshen & Watson Kirkconnell in The Poetical Works of Taras Shevchenko. The Kobzar, published for the Ukrainian Canadian Committee by University of Toronto Press, 1964.